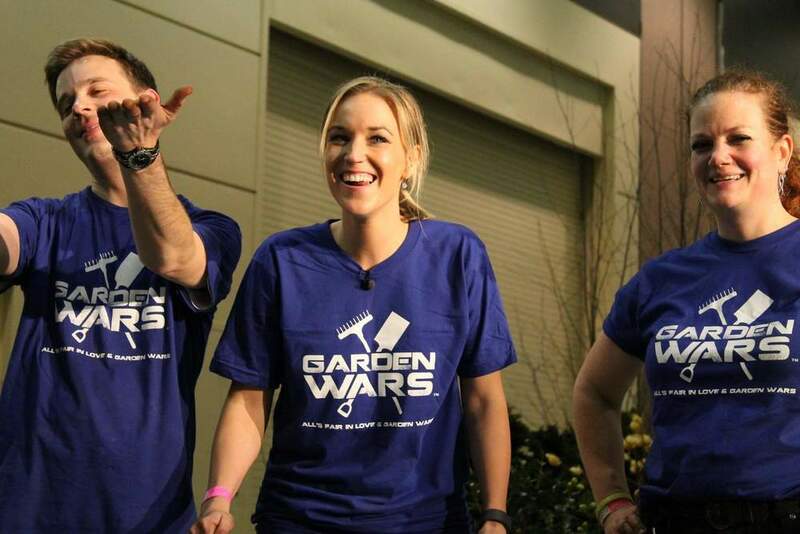 Seattle news anchors and media personalities battle it out in this fun, fast-paced attraction at the second largest garden event in the U.S.
Cheered on by a live audience, two teams have just 60 minutes to create 10’ x 10’ gardens. Charities are the real winners, though: the show donates $1,500 each day to the teams’ designated charities. Results: In its first three years, this popular feature generated 120-plus television hits, totaling over 130 minutes of airtime reaching 3.6 million viewers.